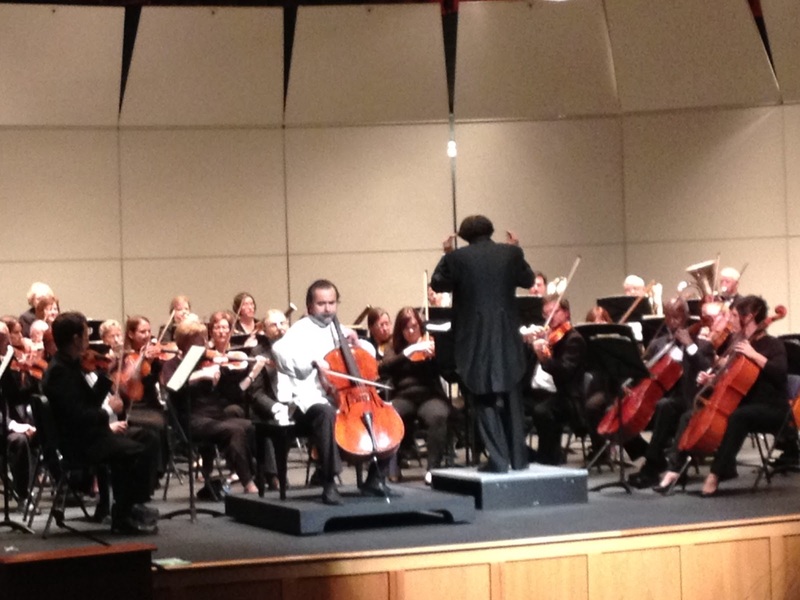 Delaware Arts Info: The Newark Symphony Orchestra: A Crowd-Pleasing Season Opener! The Newark Symphony Orchestra: A Crowd-Pleasing Season Opener! What a relief — classical music is not dead! The Independence School's 900-seat auditorium was nearly full for the Newark Symphony Orchestra's season opening concert. The program, which included Aaron Copland's Fanfare for a Common Man, Antonin Dvořák's Cello Concerto in B minor, op. 104 and Brahms' Symphony No. 4 in E minor, was a crowd pleaser. The Newark Symphony's Music director, Simeone Tartaglione conveyed his musical ideas passionately and precisely as the community orchestra's leader. With Copland's Fanfare for a Common Man, he showcased the group's excellent and strong brass section. Cellist Ovidiu Marinescu wowed the audience with his virtuosic playing in Dvořák''s challenging and soulful Cello Concerto in B minor. The concerto, which is not unlike Brahms' concerti and symphonies, is full of longing and tragedy. Masterfully constructed, the concerto showcases the soloist and allows him to lead the orchestra. Tartaglione's love for Brahms — and Brahms' Fourth Symphony in particular — was evident in his conducting and in his pre-performance discussion. An optimist, his discussion highlighted the salvation in Brahms' triumphant themes, which juxtapose the deeply tragic ones. Once again, the brass, joined by an equally stellar woodwind section, excelled in the performance of this rich symphonic work. But there is no happy ending with Brahms: A composer who felt more deeply or understood the human condition more thoroughly has never existed. I'm looking for a guitar repair sydney shop so that I can finally continue my classical guitar lessons. Seeing people performing music live motivates me to become like them as well.